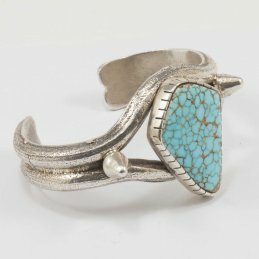 Categories: Harry H. Begay, Jewelry, Men, Everything Turquoise, Under $500. 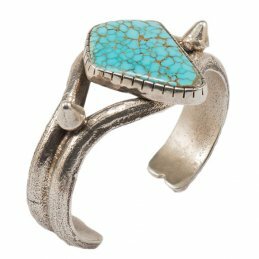 An engaging little piece by talented artist Harry H. Begay, this ingot silver money clip with natural turquoise stone is the perfect touch to your presence. A manipulated organic texture frames the outer borders with momentum eventually giving way to traditional buttons and a central setting of sky blue turquoise.